A winery with a long history in Western Australia’s Margaret River region prides itself on its elegant and accessible wines. AS a certain family of three bears and their uninvited golden-haired guest will tell you, getting something “just right” is much more difficult than it may initially seem. How, after all, do you determine exactly what qualities go into creating something that hits just that right balance? And when it is wine that you’re talking about, the sheer number of factors that affect the bottled outcome make this an even more monumental task. Hence why, when nature hands you a region with the perfect confluence of conditions, you do what all smart vintners do: you make wine while the sun shines. Margaret River in Western Australia is one such area. Noted for its similarities to the Bordeaux wine-making region in France, the maritime influence of the Indian Ocean ensures even temperatures, providing consistently excellent vintage conditions. This allows the Bordeaux varietals to grow and ripen most suitably for the production of classical Bordeaux-style wines. As a founding winery of the Margaret River region, Cape Mentelle boasts a wine-making history of more than 40 years, and prides itself on the versatility and elegance of its wines. Cape Mentelle’s chief winemaker and estate director Robert Mann, who was in Kuala Lumpur recently, says their wines are not only great to savour as young wines, but also pair beautifully with food. “Margaret River wineries do many varieties of wine very well. What sets ours apart, besides our combination of vineyards carefully sourced from history, is that our wines are very classically styled and elegant, with very vibrant fruit flavours and lovely clarity,” explains Mann, who comes from a long lineage of winemakers, and is currently a finalist for Gourmet Traveller WINE’s 2012 Winemaker of the Year award. 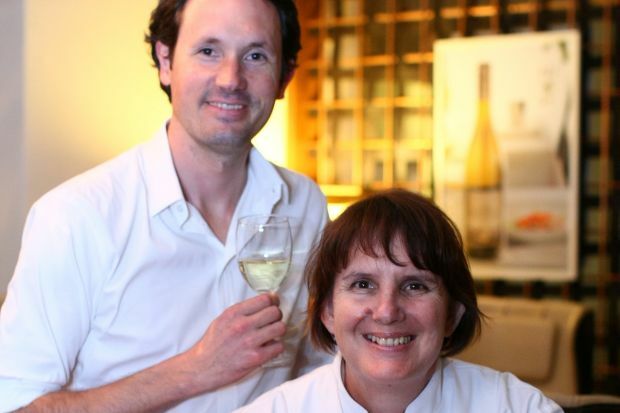 West Australian chef, author and ambassador Kate Lamont, who was on hand to pair the wines with a specially-designed menu, points out that Cape Mentelle’s vintages are ideal for meals thanks to their subtlety and “gentleness”. “The delivery of the wines is not ‘in your face’, so it’s very easy to match them to food. The trick is to match the wines not to the dish itself, but to the intensity of flavour in the dish,” she says. 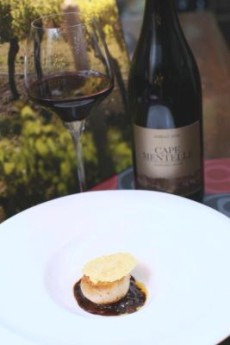 The pairing of food and wine at the luncheon was often surprising and bold as evidenced by the matching of the Cape Mentelle Shiraz 2010 with seared scallop served on oxtail topped with a parmesan wafer. Lamont’s philosophy is that food and wine, when paired well, should bring out the best in each other. It isn’t so much about strict rules on what wines go with what food, but rather, which flavours complement each other best. Thus, her pairing of food and wine for our luncheon proved to often be surprising and quite bold; for instance, serving a tomato “tarte tartin” with the Cape Mentelle Cabernet Merlot 2008, or seared scallops with their 2010 Shiraz. The trick, Lamont says, is to intensify or downplay the flavours in a dish’s ingredients so as to complement the wine. Hence, the Cape Mentelle Cabernet Sauvignon 2007, can be paired with two very different dishes: a grilled Dorper lamb served with soba noodles, creamed edamame and tobiko that displays mild, subtle tastes; or, a roasted barramundi on a bed of truffle soft polenta served with a shiitake reduction, where the flavours are heightened by the roasting, as well as intense elements like truffle and shiitake. The Margaret River wine region has made a name for its Cabernet Sauvignons, which, while similar to Bordeaux varieties, also boast a distinctive flavour of their own, providing the aromatic experience of blackcurrant cassis. Cape Mentelle’s vintage, while a great example of a classic Margaret River Cabernet Sauvignon, also features bay leaf, wild herbs and a touch of mint in the aroma, and a full-flavoured palate of concentrated blackcurrants and mulberries with a minerally finish. The Cape Mentelle Cabernet Sauvignon 2007, in fact, is often lauded as one of the greatest Cabernets of all time, and continues to hold an “excellent” classification in the Langton’s Classification of Australian Wine. Chardonnay, another Margaret River staple, is also one of Cape Mentelle’s stars. Mann says their Chardonnay is very restrained and tight, with its fresh citrus flavour, tinged with marzipan and fresh pear, balanced by a lovely smokiness. An intense and expressive wine, it was matched perfectly with Lamont’s tart yet creamy fresh mozzarella topped with petite ratatouille. Cape Mentelle’s Sauvignon Blanc Semillon, meanwhile, is one of their most popular wines in South-East Asia, characterised by its fine texture and fruity flavours of limes, apples, lychee and honeydew framed by a juicy acidity. To complement its fruity vibrancy, Lamont paired the Sauvignon Blanc Semillon with the smoky-sweetness of salmon gravlax on charred bread. “It combines the vibrancy of Sauvignon Blanc with the texture of Semillon, and displays fresh, vibrant flavours. Because it’s hot outside here, you want a wine that is refreshing and lively, and when matching to food, you want something that excites the palate without being heavy,” says Mann. The partner to this, he adds, is the Cabernet Merlot, a richly-textured wine with blackcurrant and liquer cherry flavours, featuring hints of sweet vanilla. “The power of a Cabernet is balanced by the softness and roundess of a Merlot, giving it great structure and approachability,” he says. And if there’s one key aspect that Cape Mentelle focuses on, it’s getting the balance between quality and approachability right. “Across the board, our wines are elegant, aromatic and very friendly. You don’t have to be a wine expert to enjoy our wines. They may not be the biggest wines around, but hopefully, they are some of the most drinkable,” concludes Mann. The Cape Mentelle Sauvignon Blanc 2011, Chardonnay 2010, Cabernet Merlot 2008, Shiraz 2010 and Cabernet Sauvignon 2007 are available for purchase by the glass and by the bottle at PRIME, Le Meridien Kuala Lumpur’s steakhouse.